What movie helps you reckon with the loss of a loved one? Jamie Berube turned to Interstellar to cope with the death of her father. Matthew McConaughey’s character showed that her father’s love was still alive, beyond the dimensions of time and space. 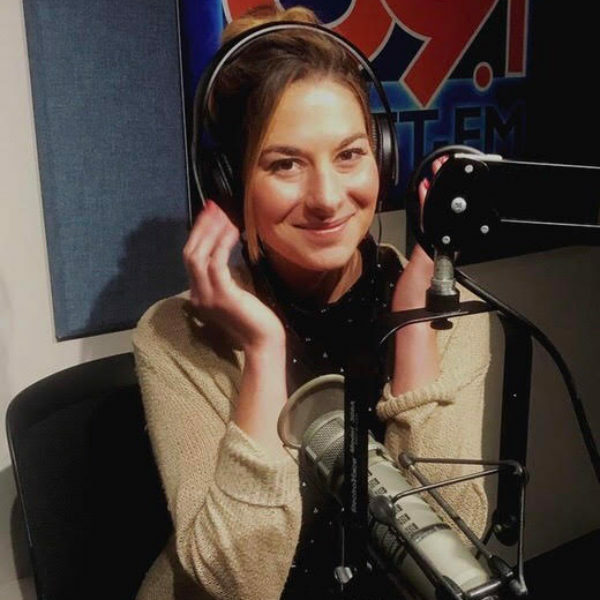 Jamie Berube is a freelance writer and journalist, who’s written for publications including Mogul and Deep South. Her Mogul piece “‘He Was My Ghost’: How Christopher Nolan's Interstellar Helped Me Cope With Losing My Dad To Heroin” is heartbreakingly beautiful and inspired this conversation. Lily Percy, host: Hello, fellow movie fans. I’m Lily Percy, and I’ll be your guide this week as we talk with writer Jamie Berube about the movie that changed her life, Interstellar. If you haven’t seen this movie, don’t worry. We’re going to talk about all the details you’ll need to enjoy this conversation. And if you’ve seen Interstellar, get ready to be transported again. 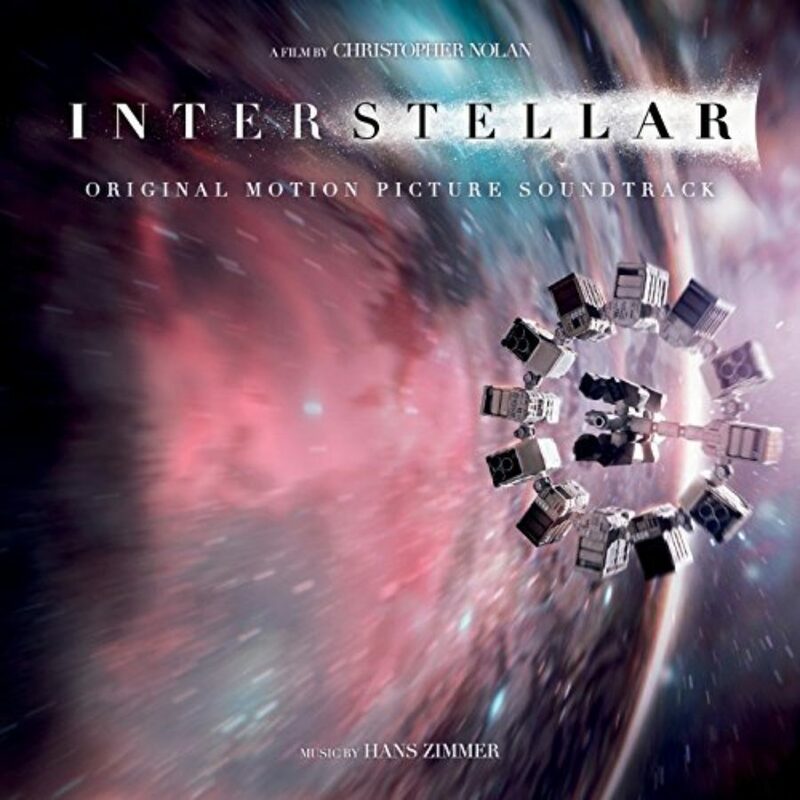 Ms. Percy: Although Interstellar is traditionally a sci-fi movie, it’s so much more than that. It’s a movie about love and the connection and bond that can exist between a father and a daughter. The first time I saw this movie, I couldn’t believe the world that Christopher Nolan created. He wrote the screenplay with his brother, Jonathan Nolan, and together they created a universe that felt otherworldly; it felt like you were in space, but it also felt so intimate and close to home that it broke your heart as you were watching it. Ms. Percy: So the movie centers around Coop, played by Matthew McConaughey — this farmer, former pilot, who is also an engineer, also kind of just a jack of all trades — who is trying to save the crops on the land and, in turn, save the crops on the Earth. The Earth is dying, and things aren’t growing anymore. And so he gets this message from another universe, an alternative universe, and this message contains coordinates of some kind — coordinates that he decides to try to track down in order to find the origin. Ms. Percy: At the time when Coop goes off on his own journey to find the source of those coordinates, his daughter is a little girl. But as he ages slowly in space, she ages in real time on Earth. We see her grow up and eventually become a physicist who is also working with NASA to save humanity and her own family. Ms. Percy: It’s strange to think that at the center of a sci-fi movie there’s this emotional drama of a family — in this case, the father and the daughter, Coop and Murph — but it’s the thing that really makes this movie transcend any genre. And that relationship — that ghost of the father that kind of carries Murph throughout her journey — that’s the same thing that Jamie Berube felt in her own life. She lost her father when she was just a little girl, and when she saw Interstellar she felt changed, because for the first time, she realized that her father had always been with her. 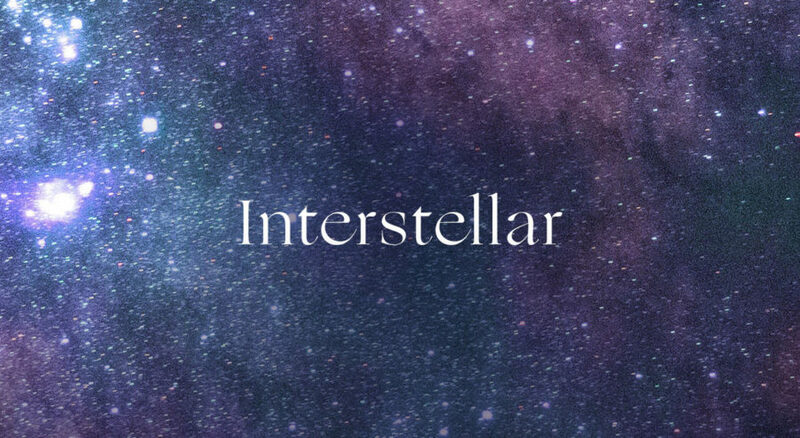 Ms. Percy: So think back to the moment you first saw Interstellar, and think back — where you were, how old you were, the feelings that came up for you when you first watched it. And I’m gonna watch the clock, and in ten seconds, I’ll chime back in. Ms. Percy: So what memories came up for you right now? Ms. Berube: The memory of walking out of the theater and noticing the tears on my blue jeans, I cried so much, and I’m not a big crier. I’m a very sentimental person, but usually, it takes a lot for a film to move me that much. And I had tear-stains on my blue jeans. And I was in California at the time. And I walked out, and I just — I felt this immense sense of, I’m ready to cope, and I’m ready to really accept — fully accept my father’s passing, and not only accept that passing, but accept that he’s not really passed. And I never in my life had ever interpreted or viewed his passing in that way. I always just thought, well, my dad’s dead. He died, and that’s that. So it sounds very romanticized when I say this, but it was just like this awakening for me to realize that I’m an adult now, and I can look back at my father’s memory, and I can see that just as in the film, Interstellar, he’s been with me this whole time. And it’s such a simple fact and simple idea, but for me, it was almost a spiritual experience, I’d say. And I just felt like it was a milestone of my adulthood, finally coming to terms with the fact that, hey, my dad might not be here, but he actually is here. And that, for me, was huge. Ms. Percy: Because your father died when you were how old? Ms. Berube: I was five years old. Ms. Percy: Wow. And in the movie, in Interstellar, Murphy, as a little girl, starts to befriend what she calls a ghost — someone who is communicating with her — and she’s trying to analyze what they’re communicating. And she has all these different moments that happen throughout her childhood, where she hears and even sees this person communicating with her. So you’ve said, “All my life, I’ve sensed the ghost of my father.” You wrote that in the piece where you talked about Interstellar. So when you were coming out of that theater that night, could you pinpoint moments throughout your life where you said, “That was him; that was the ghost, and he’s always been here”? Ms. Berube: Oh, absolutely, yes. After seeing the film, I was at work once, waiting tables. And I have a tattoo on my wrist — two of them; one is a fishing hook, because he was a fisherman, and it’s in the shape of a “J,” obviously. My name is Jamie, and his name was Joe. And I was serving a table, and this father with his daughter — and I was having a really, really bad day and thinking about my dad a lot, for some strange reason, and the man — this was the first time I had a guest ask me about my tattoo. And he asked me about it, and I told him I got it in memory of my dad and all of that. And he looked at his daughter, and he said — her name was Danielle — he said, “Danielle, why don’t you turn over your wrist?” And she turned over her wrist, and she had a tattoo of a fish in memory of her mother, who had just passed five months prior. And I got chills, and I just thought, wow, that is just one of those things. And I kind of felt like, in a way, that was my dad’s way of sort of winking at me, you know? Ms. Percy: Yeah, you wrote about the fact that when you first watched it — that “it struck me like a dagger to the gut. It pierced and opened me up and exposed my insides in a way that felt as cruel as it did cathartic.” I mean, that’s powerful. Ms. Berube: And Matthew McConaughey starts bawling his eyes out. And I still to this day, I can’t watch that clip without crying. [laughs] And that was where I felt — it was almost a literal pain, but it was a good pain. I just felt this “Oh, my gosh — wow,” just because seeing the emotion he felt, watching his daughter, and knowing — knowing that my father’s watching me, and knowing that if my father thought that I was in pain or thought that I didn’t sense his presence, I know that that would be his exact reaction, would be weeping tears of wanting to communicate, “No, that’s not true, Jamie. I am not. I haven’t left you. I’m here.” And I know that would be his exact reaction, and that’s what pierced me so, so deeply. Ms. Berube: Yes. It really did force me to confront that void, and it’s a void that, I think, a lot of people that grow up without fathers — which is not entirely uncommon these days, and it’s something that you can just choose to medicate however you choose — you can choose to ignore it. You can choose to dwell on it and be bitter or angry, which, for a long time, I was very angry. 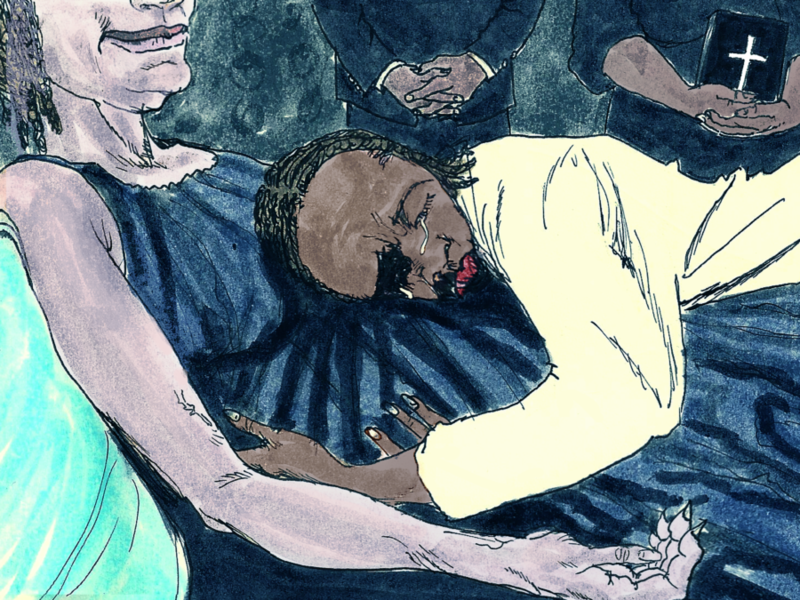 But it forced me to confront, how exactly am I going to frame my view of my father’s death? Am I going to see it as, well, he’s gone, and I’m just a fatherless girl now, and I just have to accept that and move on? Or, can I view it as something that can shape me and mold me and make me into someone who can look at that really tragic part of their life and say, “That’s a tragic part of my life, but it’s also an incredibly beautiful thing that, for a long time, just was a barren part of my identity that I just kind of left there and just didn’t want to confront or think about too much”? But now I can not only think about it and dwell upon it, but I can write about it and talk to others about it and communicate through that. Ms. Berube: For their children. Ms. Percy: And I’m just curious as to what lines and moments really spoke to you. You mentioned when he first watches the messages, 23 years later, that his kids have sent him into space. But what other moments and lines really struck a chord? Ms. Berube: That’s so coincidental that you mention that, because I wrote that line down this morning, that a part of a parent’s job is to leave memories for their children. That was definitely one of them. Ms. Percy: Oh, my God. When I first hear him — and I feel like I’ve seen this movie now, I think, probably four times. And watching it this week, that one just left me stunned. I never heard it before. Ms. Berube: Yes, and honestly, I wish I could think of some sweepingly long, brilliant — because there are so many brilliant quotes in that film. But just the one scene, the one line that is so simple, that really just sticks with me, is just when she puts it all together and says, “It’s you. You never left me. You are my ghost.” And in saying that — the connotations we have of what a ghost is, it’s not an entirely romantic thing. Ms. Percy: It’s scary, often; haunting. Ms. Berube: Yes. But the fact that she verbalizes, “You are my ghost,” and the way her face just shifts and changes when those words come out of her mouth, and her gaze and her body language in that moment, there’s just so much beauty there. And I think that that one small clip alone captures so, so much. Ms. Percy: He tells it to Dr. Brand. Yes, yeah. Ms. Berube: Yes, yes, you’re right. OK. That’s right — “And telling my daughter that the world is ending wouldn’t be doing that.” And I think it’s true. That is the greatest role of a parent, is making your child feel safe, and even at the expense of not exposing all of the details or not saying, “This is the reality” — not lying, per se, but obviously, protecting them from a truth that would horrify them and terrify them. And for me, that resonated with me; and just knowing that my father was an exceptional father. He was a wonderful father, and my mother, to this day, will say things — if I’ve had bad relationships in the past with boys, my mother would say, “Oh, if only your father was here,” [laughs] just knowing that he would go — he would sacrifice his own life in a heartbeat, just to make sure we were safe, always. Ms. Percy: Some of the themes that this movie has for me, you’re naming them as we’re talking about parents and the role that parents play in your life, and even about the idea of accepting that your parents aren’t made for you, just for you — that they have their own identities [laughs] that have nothing to do with you. I feel like the movie is really showcasing that — that Cooper is his own person, apart from just being a father. He’s also an engineer. He’s an explorer — and coming to terms with that. And then, there’s also the theme of time, the fact that you can’t fight time and the passage of time. And it’s heartbreaking and sobering. Ms. Percy: And it’s crazy to me that a movie that’s science fiction — that’s the genre that you would categorize this — that this is really a love story. Ms. Percy: That love is what Cooper uses to find and communicate with Murphy, when he’s in the black hole, when he’s trying to send her messages. And I wonder how Interstellar has shaped your own understanding, or even definition, of love. Ms. Percy: Exactly. [laughs] That’s the pat answer, yeah. Ms. Berube: But it truly did. As I wrote in my piece, love is not quantifiable. It’s not measurable. It’s not a tangible thing. It’s not a scientific — you can’t feel it, touch it. It’s not something that has a physical presence to it until you move into the idea of, it does embody a physical presence, but it’s all in how you choose to believe that love is, physically — weighs on us and in us and is within us. However, it’s our choice of how we choose to channel that, use that, believe in that, trust in that, respect that. And I think, for me, it’s helped me understand that love is — as wonderful and as great as I just described it, it also can break your heart. It can also destroy you, sadly. And so, you have to understand and respect that love has both of those components: life-giving, but also, can take life away when it’s not reciprocated, or if you love someone or something so much, and then it’s gone. Ms. Percy: Yeah, and I think there’s something about this movie, which is filled with scientists and these big thinkers putting words to that and saying that it’s just as strong a force as gravity, and continuously comparing love in that way — it’s almost like it gives it credibility, for all of us who are romantics and thinking about love in a different way. Ms. Berube: Right. Oh, no, absolutely. I got the same exact feeling. It was such an interesting little dichotomy there, the whole idea of all of these scientists coming together in this science fiction film, and at the end of the movie, you’re not crying because of anything scientific or any crazy adventure or something you saw that really moved you. You’re crying because you see how emotionally broken-down they become because of the theme of love throughout the entire film. Ms. Percy: So I wonder, as you’ve been processing and really reframing things in your life because of this movie, because of the power that Interstellar had on you, how it’s continued to change for you; how you have grown together with it. Ms. Berube: Well, I still — I love to re-watch it, and every time I do, I learn something new each time about the film and about myself and how it relates to me. And I think I could certainly say, it’s helped me mature. It has helped me communicate better, helped me talk about the death of my father a lot better. It’s interesting; I was never really able to talk about it openly or comfortably, before seeing the movie, because it — the circumstances of his death weren’t very pretty. It’s not something I get excited about talking about. Ms. Percy: Yeah, there’s a lot of stigma around it. He died of a heroin overdose. Ms. Percy: Well, and I think they’re also probably making judgments about him, right? Ms. Percy: And I think that’s the thing that’s really sad, is how often we do that. Ms. Berube: Well, yes, and the movie also helped me understand that — and I knew this all along, but it wasn’t until I saw the movie that I was able to really put this all together, is — my father, he did die of a drug overdose, but he was the most kind, gentle, loving man. He never hurt anyone. He was a fisherman by trade. He would be gone for weeks at a time, and the time of his passing, heroin was very, very popular in Connecticut, the neighborhood where we lived, and so it wasn’t very uncommon to be using. And so it helped me understand that he wasn’t this bad man. He wasn’t this bad guy who was just — this junkie who was high all the time, didn’t care about his kids or my mother. He was entirely the opposite. And he had an addiction. He fought it hard. And he went to rehab several times, and he would write my brothers and I letters from rehab. And he tried. He didn’t win the battle, but he fought very hard. And nothing — he never — I can’t say that I’ve been told of any memories of him that have not been anything but just entirely positive and loving and great. Ms. Percy: Well, and it’s what Interstellar shows us, is that idea of the complexity of your parent, which is — in the movie, Matthew McConaughey’s character, Cooper, can be a good father and love his children, and yet, still leave them and follow his career and his desire to explore space, which he’s always wanted to do since he was a kid. Ms. Percy: And your dad could be a drug addict, but also be a good father and love you. Ms. Berube: Absolutely, yes. Absolutely, and that’s what he was. And the scene where he’s leaving Murph for the opening scene; I guess it’s within the first 30 minutes. And she’s begging him to stay. She refuses to talk to him, and he gives her the watch, and then she throws the watch. I could imagine — she’s older, in that scene; I was so young when my father passed. But I could imagine, if my dad came and said, “I’m going away for a month to fish,” and if I had grown more attached to him, I would — because I am a very — my mother would say I’m a very stubborn, prideful person — I would’ve been very ornery and saying, “No, you’re not leaving me. You’re staying right here.” [laughs] And so that’s definitely how my dad was, and I would’ve behaved very similarly, but he would’ve done what he needed to do as a father and went on his way, knowing that he would hopefully come back. Ms. Percy: Jamie Berube is a writer for Mogul and Deep South magazine. Her Mogul piece, “‘He Was My Ghost’: How Christopher Nolan’s Interstellar Helped Me Cope With Losing My Dad To Heroin” is heartbreakingly beautiful and inspired this conversation, so definitely read it. Next time, we’re going to be talking with my hero, Rubén Blades — or Ruben Blades, here in the U.S. — about the movie that changed his life, the powerful 1940s noir-western, The Ox-Bow Incident. Find it on all the usual streaming sites, or at your local library. I’m Lily Percy. Stop what you’re doing right now and watch Interstellar again, because it really is that good.